When it comes to your family’s oral health, it’s important to find a skilled and compassionate dentist in Lake Zurich who can provide the best options in care. The care and comfort of our patients are our top priorities, and we strive to make every dental visit a positive and stress-free experience. Drs. John McNerney and Sam Calabrese are committed to continuing education and providing the most technologically advanced dentistry possible in a warm and friendly relationship-driven practice. As a trusted dentist in Lake Zurich, we treat our patients as partners in care and are attentive to all questions and concerns that may arise throughout the course of treatment. Whether you or any member of your family are in need of a checkup and cleaning, restorative care, a cosmetic smile makeover, the replacement of missing teeth, or one of the many other dental services that we provide, you can rest assured that your oral health is in the best of hands. 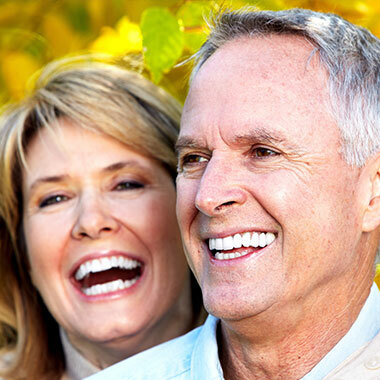 Cosmetic and comprehensive transformations of smiles are our specialty. We treat all ages, and especially enjoy having the opportunity to assess young patients for potential problems that relate to constricted arches, inability to nasal breathe and tongue ties. A little change at an early age can have a huge positive affect on a child's development. At Sandy Point Dental, our goal is to help every patient enjoy the benefits of a beautiful and healthy smile. To learn more about our office and the many services that we provide, feel free to browse through our website or give us call today. The VELscope® is an advanced oral assessment technology system that offers clinicians the ability to visualize oral tissue abnormalities that may indicate the presence of oral cancer or pre-malignant dysplasia. Sleep apnea is a serious and potentially life-threatening disorder involving repeated pauses in breathing while asleep. The most common form of this condition is obstructive sleep apnea. Have been going to Sandy Point to see Dr. McNerney and MartyAnn for years! They have the nicest staff, most up to date technology, great bed-side manner and really care about you and your smile. I have been going to Sandy Point Dental for at least 20 years. Dr. McNerney and staff are very professional and highly skilled. The equipment is cutting edge. I highly recommend Sandy Point Dental to anybody who needs a good dentist. I have been a patient with Dr. Calabrese and Sandy Point Dental for 20+ years. In all of that time I have received only the best from the entire team. They have state of the art equipment yet always provide the 'human' touch. Highly recommend this practice to everyone. Everyone there is very friendly and helpful. I never have to wait for my appointment. My family and I have been going there for a long time and are very happy with the results of their work. My family has been seeing Dr. McNerney and the staff at Sandy Point Dental for over 15 years. They are delightful and actually make going to the dentist a pleasant experience! Aside from being warm and friendly, they are extremely thorough and helpful.